Back in the fifties, big props reigned supreme as BOAC and Pan Am Stratocruisers dominate the ramp alongside DC6s, DC7s, Super Constellations, Yorks, Vikings, and Ambassadors. This DVD brings back this excitement in full color and authentic sound throughout. 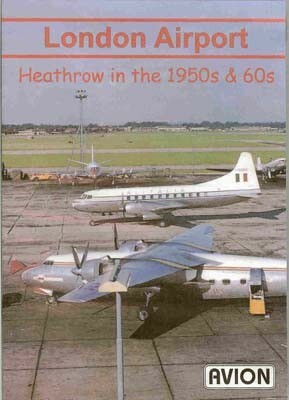 The early sixties brought the whine of the turboprop Viscount and the roar of Comets, 707s, DC8s, VC10s, Caravelles and Coronados - many of them captured in exciting closeup action. Several of our cameramen worked airside and as a result, we have amazing shots of some of Heathrow's rare visitors and key events. YC97, Execute Martin 404s. Air France Viscount 700. SAA DC4. VC10 crew training and much, much more! In NTSC DVD format with runtime of about 64 minutes.